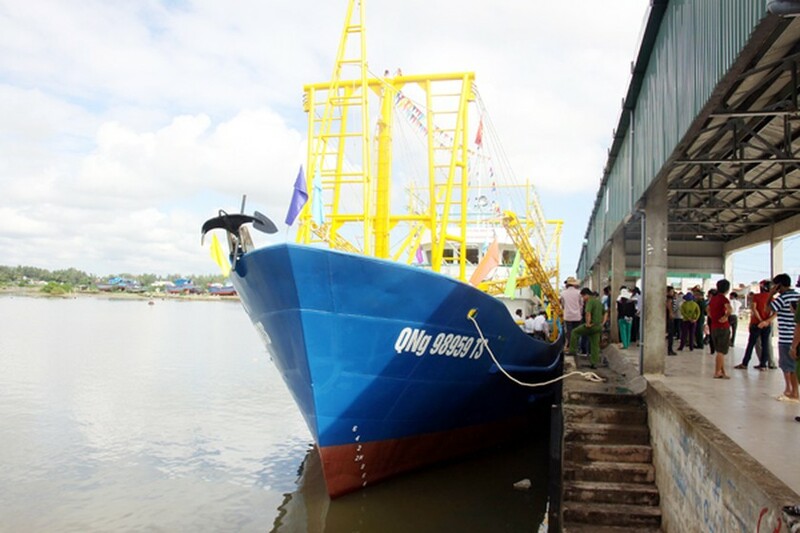 Quang Ngai city and the provincial fund for supporting fishermen, Vingroup, Nha Trang Shipbuilding Corp delivered a modern steel hulled fishing boat worth VND 12billion to fisherman Huynh Thach, 44, at Pho Quang, Duc Pho district in the central province of Quang Ngai this morning. The boat with No.QNg 98959 TS has 26m in length and 7m in width, 3.4 m in height used engine of Mitsubushi (Japan). The boat has its capacity of 811 CV, costing VND 12 billion funded by the Vingroup. This is the 12th steel hulled boat delivered to fisherman as per Decree 67. On this occasion, the fund supported VND 269 million for disadvantaged fishermen.